VITALIA Port St Lucie 55 Plus new all inclusive retirement lifestyle private community offering NEW and RESALE homes. VITALIA’s 450 acres plus is located within the 8,300 acre community of Tradition, situated in Port St Lucie Florida’s famed Treasure Coast with the nearby community of PGA Village and Center of Golf Learning, New York Mets spring training field and award winning Martin Memorial Tradition Medical Center. LOCATION, LOCATION gorgeous Pearl floor plan situated in one of the best and largest size lot in Cascades community. This gem of a property is beautifully landscaped, great curve appeal, private extended lanai facing a huge backyard with room for a pool! With private additional parking area adjacent to the home. This home offers 2 bedrooms, 2 bathrooms, den, 2 car garage, open floor plan family room and dining area overlooking expanded covered patio surrounded by beautiful garden setting. This great home offers silhouette blinds with additional window treatments, plantation shutters, built-in cupboards in garage, hurricane accordion shutters, stainless steel appliances, 18×18 diagonal ceramic flooring throughout, crown moldings. New water heater, new screen entrance walkway and much more. If Florida’s baby boomers are echoing national demographics, they are either already enjoying retirement or are preparing for it. But for soon-to-be seniors, that word retirement has taken on some new connotations. Today’s seniors may be headed to a retirement with some major differences. Big windows and superior lighting not only bring home a cheery look, but that light makes everything easier to see and navigate around. Accidental fall prevention may not be the top priority for a member of the 55-plus group who’s buying a home in Nocatee Florida, but if the health statistics are correct, it ought to be a major consideration. Chances are increasingly good that a typical boomer will live a long time, but that also means arthritis and age will come into the picture, as well. Buying a home with wider doorways and halls mean buying a home that’s potentially wheelchair-friendly! Future retirees have an increasingly sophisticated relationship with technology, so in addition to Internet access, remote-controlled lighting and alarm systems are becoming more commonplace. Whether or not you are approaching retirement, when you set about buying a home in Florida, it’s my job to help you find one that will fit your needs for the long term. Contact me today! 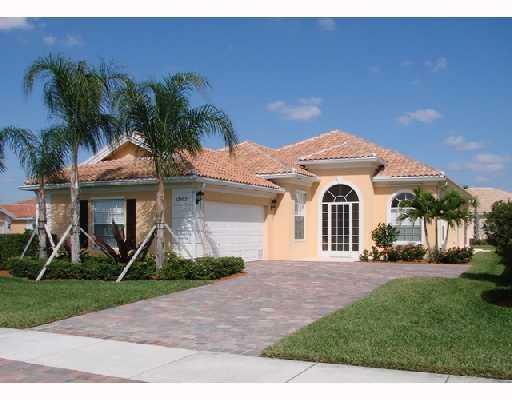 Find Your Florida Home Investment Here! Selecting The Right Retirement Community. More and more people are choosing to move to a retirement community. The very first thing you need to take into consideration is where you want your retirement community to be located. You could choose from an urban environment or a country setting but understanding what your particular needs are – now and in the future plays a big part in which retirement community you should move to. Many people like to be close to where they live now, just a little further out. But some like to move to the city where there are more sights and accessibility. If you have children, you might also want to consider a location that is near to them so you can more easily spend time with them and with your grandchildren. In addition, if you have special medical needs, you might want to choose a community that is near to certain medical facilities. Or, if you are interested in pursuing educational interests that you never had the time for before retirement, a college community might be the best location for you. Know Your Needs and Desires. Not all retirement communities are the same, so you need to have a clear idea of what you need and what you want in a retirement community. First, some retirement communities are set up like apartments, while others utilize manufactured homes, RVs, townhomes and single family homes. Therefore, you will first need to make a decision regarding which of these building styles is most desirable to you. If you are looking for a little more privacy and ease of access, a retirement community made of manufactured homes or single family homes may be the best option for you. Be sure to consider your hobbies as well. In that way, you can select a retirement community that will make it easier for you to pursue those hobbies. For example, if you enjoy golfing, you might want to find a retirement community that is on a golf course. If you like fishing, then a community near the lake is ideal. If you want to be able to have most of your needs met within the retirement community, you might want to seek out a resort-type community. On the other hand, if you might occasionally need some assistance with your basic living needs, you might want to consider an active adult community that also offers basic assisted living services. Once you have your choices narrowed down, contact the retirement communities you are considering and ask for more information. They will likely send you a packet filled with information that you can browse through. In many cases, the retirement community will also offer a visitor’s program or a vacation getaway program that will allow you to take a tour of the property or stay overnight. This will help you get a better idea of whether or not the community is right for you. And remember, before selecting any retirement community try getting a second opinion from a relative or friend. Often, we fall in love with what we want, blocking out any negative aspects. Another opinion offers you advice that you may never have thought of. 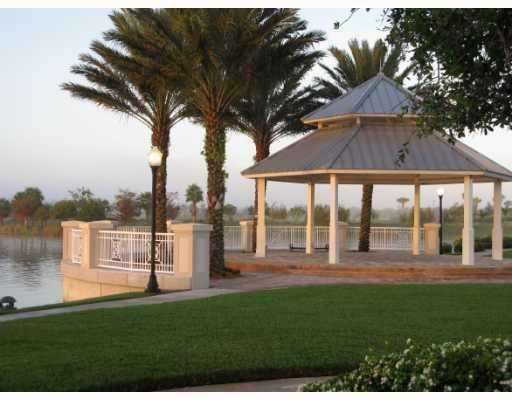 PGAVillage: A private community with 2,511 homes and approximate 3,000 acres. PGA Village features thirty-four distinctive upscale neighborhoods situated for privacy with scenic panoramic water and golf course views. The community offers a mix of new and pre-owned one or two-story Single Family Homes, Townhouses, Villas and Condominiums. The Legacy Golf & Tennis Club a non-equity private club offering 27 holes of fantastic golf for all skill levels. The home to a 7,023 yard championship courses that speak for themselves. Designed by legends Tom and Jim Fazio and Pete Dye, the community’s championship golf courses were designed to surround golfers and protected species in the serenity of a 430-acre wildlife sanctuary. The PGA Golf Club also includes a 6-hole short course, plus the new PGA Learning Center with over 35 acres of golf fun for players of every age and skill level. PGA memberships range from affordable single and family to a premier golf membership for extremely active golfers. Home owners are not required to join the club. The Tennis facility boasts six har-tru lighted courts, with a fully stocked shop for apparel or repair needs, as well as individual or group instruction. Sun yourself on a large pool deck and enjoy the Olympic-size heated swimming pool, which overlooks the driving range, practice course and tennis courts. This is a delightful way to spend your day at PGA Village. The clubhouse offers abundance of social activities with a casually elegant dining experience, a popular place to meet with friends and neighbors of the community. PGA memberships range from affordable single and family to a premier golf membership for extremely active golfers. The residential real estate market in PGA Village is currently “Red Hot” with affordable golf villas, condominiums & detached single family homes. The Island Club new clubhouse includes a state-of-the-art fitness center, swimming pool, card rooms and tennis. PGA Village is professionally manned with roving patrol officers 24 hours a day. PGAVillageTownhomes & Villas: Unfurnished & Furnished Townhomes & Villas priced with one & two car garage from $128,000. PGA Village Homes: Unfurnished & Furnished detached single-family homes priced from $119,000 to $1.5 million. All real estate inquiries should be directed to Bold Real Estate Group. 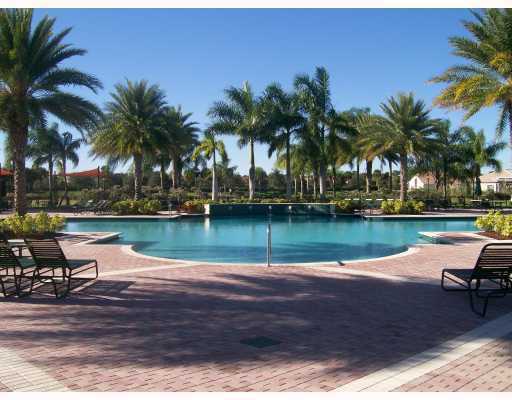 VERANO: All inclusive resort lifestyle private community in Florida, Port St Lucie. VERANO features a magnificent 3,000 acres of active lifestyle and amenities with a state-of-the-art fitness center including aerobics, spinning room, indoor lap swimming pool, sauna, men’s and women’s locker rooms, massage area. Outdoor resort-style pool overlooking beautiful lake, basketball courts, bocce, tennis, golf cart parking. The residential market at VERANO is the perfect time to purchase your new home with a wide selection of exclusive home designs featuring single family homes with two or three car garage, golf, lake or nature preserve view, spacious attached villas with double car garage, lanai, new appliances, ceramic tile in living areas and much more. VERANO offers concrete block construction, impact glass windows, Mediterranean “s” tile roof, gourmet kitchen and appliances, exterior maintenance, pest control, 24/7 manned gated entry. HOA at VERANO includes basic cable TV, internet service, individual home lawn maintenance, community landscaping, irrigation, fertilization, pruning, community pest control, manned gated entry and access control, high speed internet, alarm monitoring to a central station, street lighting.Parking space in the garage for golf cart in selected models. VERANO New Construction Homes: Priced from the low $200’s with two and three car garage, stainless steel appliances, impact glass, granite countertops, 42″ cabinetry and luxurious master bath with soaking tub, ceramic tile, spray foam insulation. New home models starting from 1,600 square foot featuring two bedrooms plus den, ten foot ceilings and much more! VERANO Ready Now Single Family Homes: Priced from the mid 200’s featuring upgraded gourmet kitchen, crown molding, ceramic tile and much more. 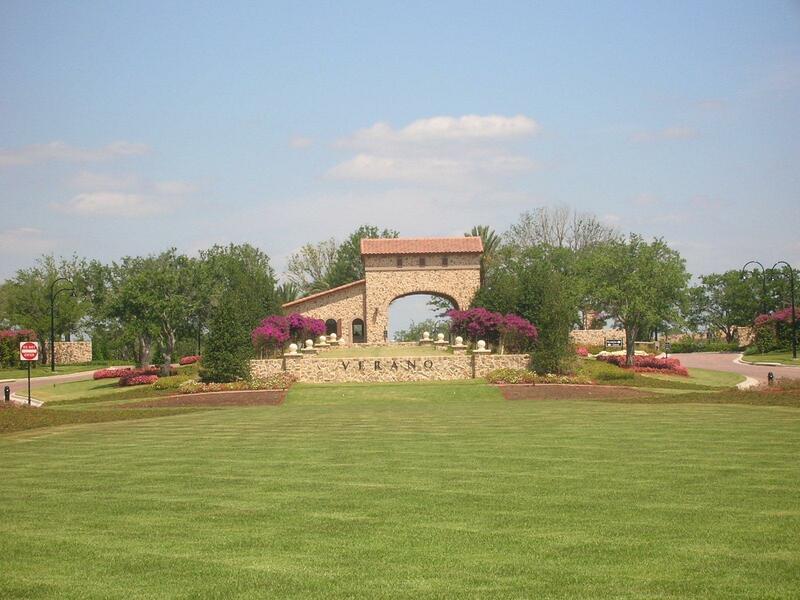 Selective homesites offering golf, nature preserve or lake view. Contact us today for list of available ready home to close in 30 days or less!!! VERANO Ready Now Attached Villas: Priced from the low $100’s double car garage, appliances, impact glass, lanai, ceramic tile in living areas except bedroom, new construction. All real estate inquiries should be directed to Bold Real Estate Group. Having the right real estate agent means having an agent who is committed to helping you buy, sell or rent your home with the highest level of expertise in your local market. This commitment level has helped Bold Real Estate Group build a remarkable track record of delivering results. Whether you are an experienced investor or a first time buyer, Bold Real Estate Group can help you in finding the property of your dreams. Please feel free to browse our website or let us guide you every step of the way by calling or e-mailing Bold Real Estate Group to set up an appointment today. Take a minute and browse our website, we’re sure you’ll find the right fit. Rent or Buy and experience the lifestyle you deserve. Concierge Real Estate Services: Bold Real Estate Group will provide concierge services including set up of excursions and area information. Dining and Shopping: Residents will find an enticing selection of restaurants in the area, ranging from light meals and fast food to gourmet dining. Nearby shopping venues include mainstream consumer retail outlets, shopping mall and specialty boutiques. Health Care: Three nearby hospitals, Lawnwood Regional Medical Center, St. Lucie Medical Center and Martin Memorial Health Systems provide complete modern medical care including 24-hour emergency services. Martin Memorial’s St. Lucie West Walk-In Clinic is located in the St. Lucie West area. Doctors offices and Physical Therapy located within short distance of community. Nocatee is a master-planned community located in Ponte Vedra, a golfer’s city and home to the PGA Tour of the Northeast Florida First Coast. Nocatee currently features seven new neighborhoods and a wide variety of ready and magnificent homes for quick move-in or a great location to build your new home with choice of builder and preferred home style. Homes are priced from the low $100s to more than $1 Million offering a wide selection of Condominiums, Townhomes, Patio Homes, Carriage Homes, Single Family, Estate Homes and 55+ active Adult Community. No matter how simple the process seems to purchase a new home from a builder you cannot go wrong by obtaining professional advice from a real estate agent who looks after your interest. The Builder’s Sales Staff of each community works for the builder. Bold Real Estate Group is a boutique agency committed to concierge personalized service for discerning buyers. Our team of professionals strive to provide the highest standard of real estate service Locally, Nationally and Internationally by combining today’s technologies with yesterday’s caring attitude. Our goal is to give our clients the confidence to know that their transaction will be completed successfully and with confidentiality. Buyers trust us to expose them to properties that meet and exceed their desires. We build trust through our words and actions, instilling customer loyalty for life. 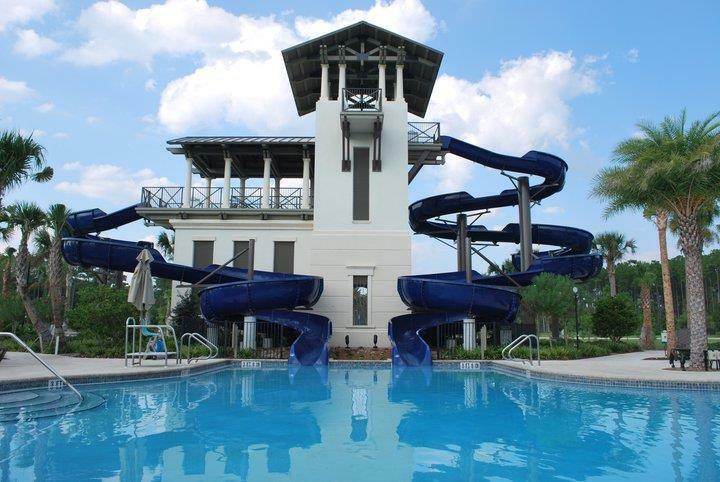 Enjoy 3 NIGHTS DISCOVERY TOUR AT DEL WEBB NORTH FLORIDA COMMUNITY FOR $150!